The box and the palette both have the same kaleidoscope print with pattern in black and white on the side panels and are made of cardboard. As per usual, the back of the box has all the shades and their colours. The palette packaging is pretty interesting and has quotes scribed on the side. There’s a hidden butterfly under the flaps that pops up when you open the flaps as well with a mirror on the cover. The palette itself is in a pull out drawer at the base of the box which I found a bit odd. The focus is definitely the packaging and doesn’t showcase the palette. It’s kind of as if they spent all their time and resources on the colourful cardboard box it comes in and just shoved a tray with eyeshadow colours at the bottom. It would’ve been nice if the butterfly or doors had some relation to the unveiling the palette instead of just a decorative feature. I thought I’d add a separate category for this because it was a bit of a surprise for me. The palette has a black and white framing around each colour which has a visual illusion effect of it being a metallic frame/the colours are deeper than the rest of the frame. BUT it’s actually just clever black and white lines that are on the same level as the shadow. As most Urban Decay palettes, this came with a double ended brush. I appreciate the quality of UD brushes as they aren’t scratchy and do a decent job. However, I still prefer my Zoeva brushes 😀 There’s a longer hairs brush and a short dense brush – all you neeeeed! There have been mixed reviews of this palette. 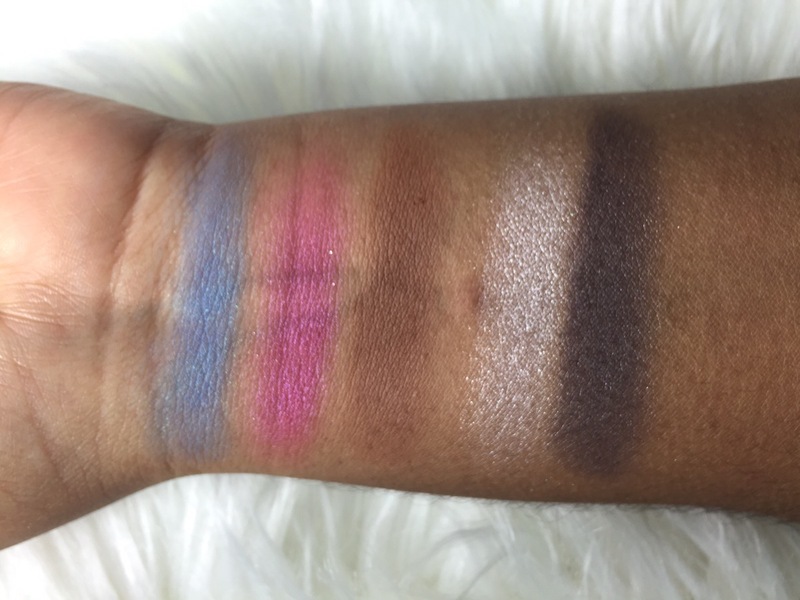 People have been critiquing the colour selection as well as the pigmentation quality of the shadows. 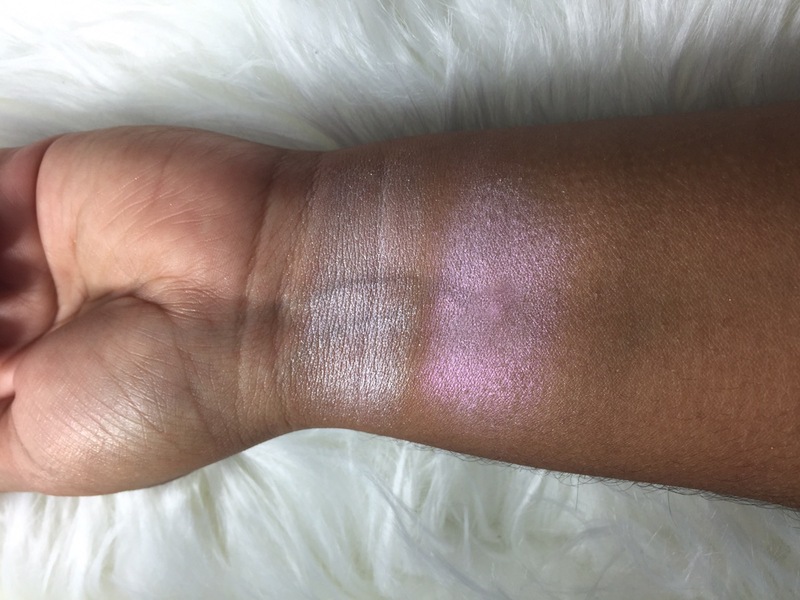 Overall, I felt that the pigmentation was a lot stronger when a white based primer is used and the shadows are applied with a finger or a dense, wet brush. Ok let’s start with the first row! Looking Glass is a pale pink that has satinish finish. 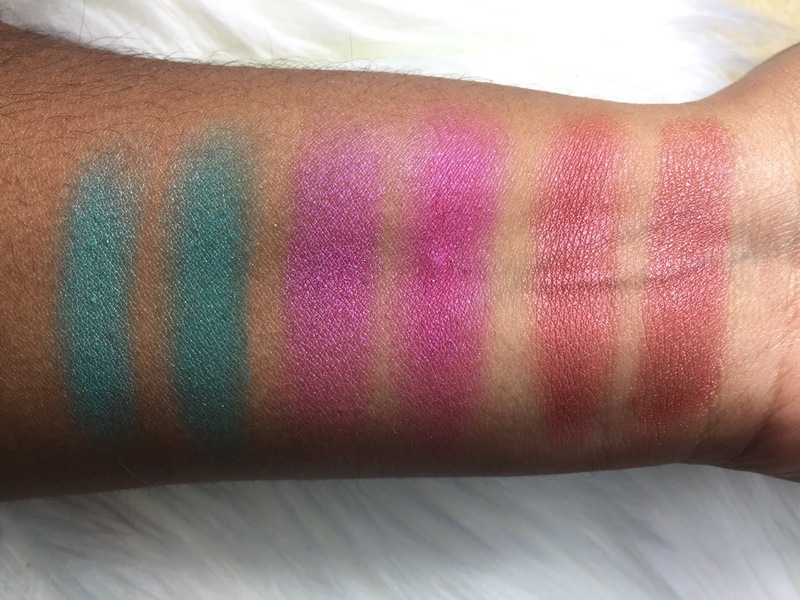 Hatter is such a unique shade but unfortunately isn’t as pigmented as what it could be – e.g Electric Palette. Lily is gorgeously pink and a perf highlight. Heads Will Roll is a teal with small glitter throughout it. Unlike many of the other shades in this palette, the glitter is visible on the lid and doesn’t brush away when blended. Time is a dark navy-black with glitter. Reflection is one of the only 2 matte shades in the whole palette. It’s a nice peach shade that actually shows up on my skin (whaaaat). Gone Mad is a well pigmented dark purple. Duchess is quite sheer and glittery. Bandersnatch is sadly, very patchy. Its a dark royal blue and takes a while to build up onto the lid. This row is the most cohesive of the palette (and my favourite). Dormouse is a warm brown that appears to have specks of glitter but does not show up on the lid. Paradox is a shimmery orange. Kingdom is a great all-over-lid-every-day-shade. Salazen Grum is shimmery burgundy that is super pigmented! Chronosphere is just another shimmery dark brown. Metamorphis, like Hatter, is such a unique shade but just isn’t pigmented enough. Its a glittery lightish blue. Cake is an fuchsia pink colour with glitter and is basically the colour the Mad Hatter wears in the promos. Chessboard is just a matte brown – a good transition shade. Royal Flush is a silver pearl colour that can also be used as a highlight. Mirror is a charcoal grey with shimmer and is lighter and not blue like Time in the first row! Although the colours look similar in the pan, they are both quite different. I am absolutely in LOVE with Lily which is a beautiful pinky-pearl that can be used sheerly as a brow/inner corner highlight or packed on to the lid! Whilst the combination of colours in this palette is unique, some of the shades ARE NOT! Too Faced Sugar Pop palette’s Blue Raspberry vs UD Alice’s Heads Will Roll. They are both teal coloured shadows with glitter. 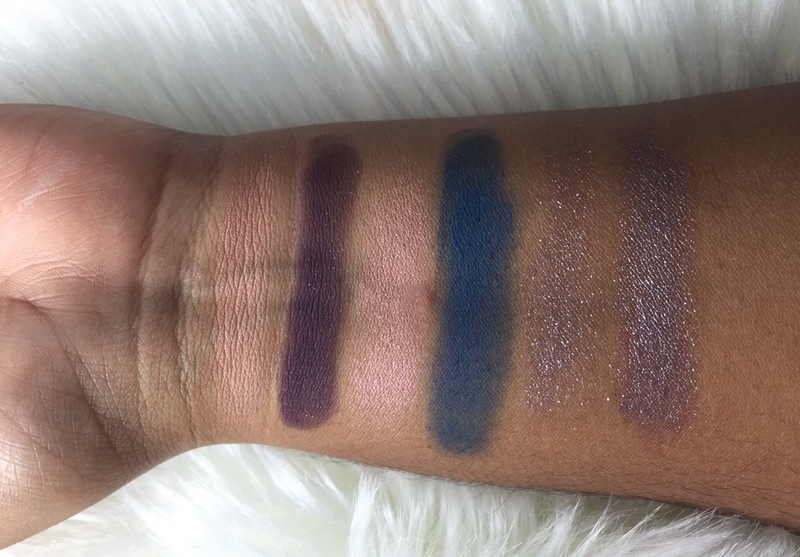 The UD is sliiightly darker (but close enough – how many teals do we really need? UD Spectrum palette’s Backlash vs UD Alice’s Cake (omnomnom). Urban Decay always say that they don’t have 2 of the same shade BUT these two look pretty similar to me!? In the photo, Cake looks a little pinker/brighter but in real life, you can’t tell the difference. Chi Chi Spices palette middle shade (no names) vs UD Alice’s Salazen Grum. These two are pretty much the exact same! 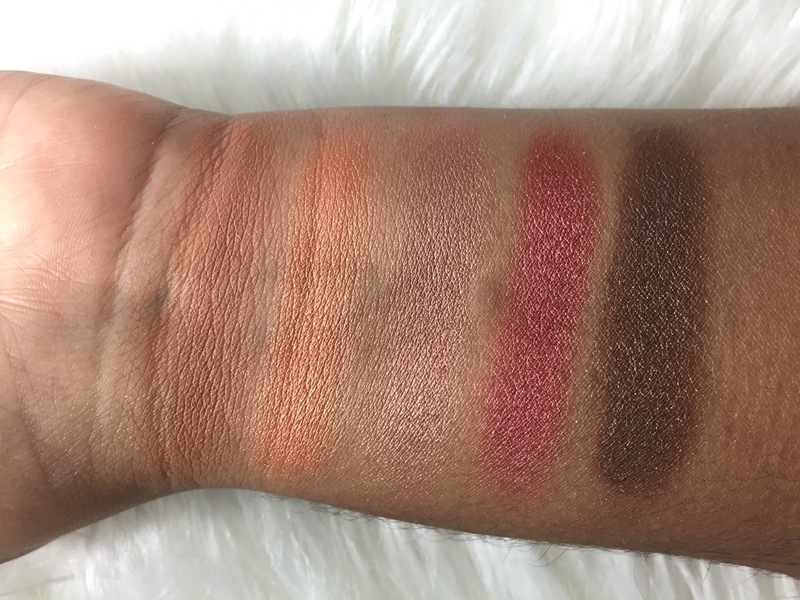 I absolutely LOVE this shade on darker skin tones so hey, I can have a massive THREE of these and still not care. Ok so I’ve basically shown you what it looks like and talked about everything I can think of – so what do I think overall? I love the packaging – it’s definitely a collectable item and photographs beautifully. At $98 from Mecca, it isn’t the cheapest palette out there and is priced similarly to the Vice palette that had more shadows. The shadow quality is a hit and a miss. They have some gorgeously unique colours but also some horribly patchy colours that CAN work but you have to use a white based primer and your finger and rub it around the pan a few times first. This is different to what UD are usually like. If you are a huge fan of Disney, Alice in Wonderland, Urban Decay or Tim Burton then this is a great collectable! If you’re after great quality eyeshadows, I’d probably give this one a miss. There are heaps of better options out there with a great selection of colours (there’s a vice reloaded palette coming soon). $98 can get you about 10 beautiful quality Makeup Geek single shadows/ UD Spectrum palette/ a couple of Morphe palettes. What do you guys think? Did anyone else pick this up?